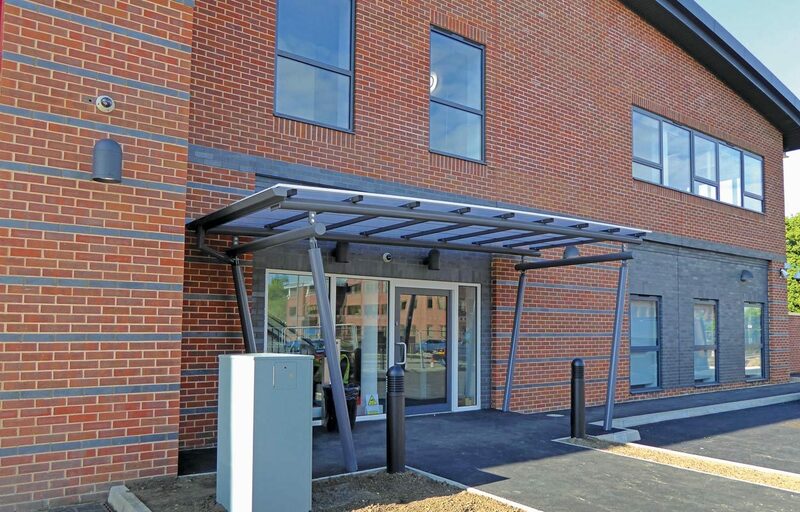 Guildford Fire Station’s existing 1930’s building was no longer fit for purpose due to excessive maintenance demands. 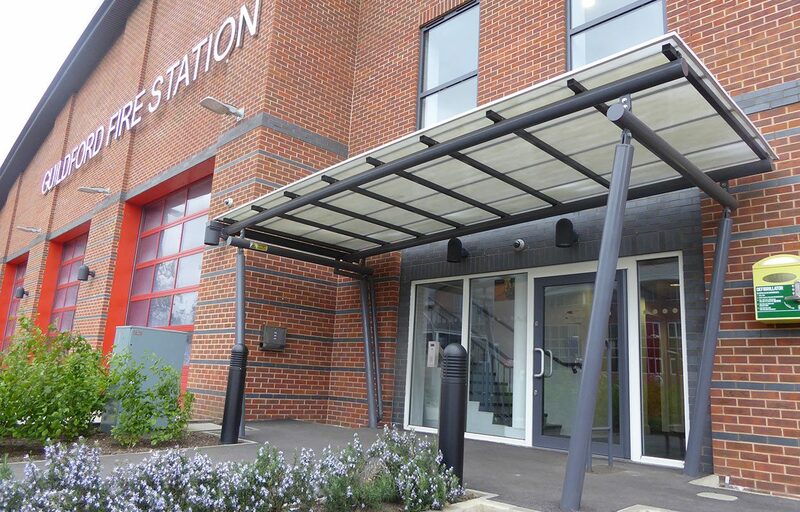 One of the busiest fire stations in the UK, new plans were submitted for a new fire station to ensure the safety of residents in the surrounding areas. 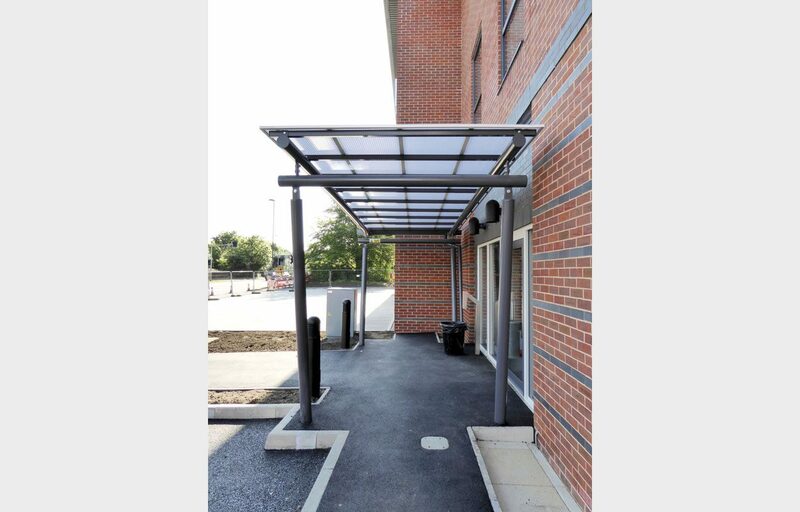 The flat mono pitch entrance canopy, designed and built by Fordingbridge at 6m x 4.8m, creates shelter and architectural emphasis to the building’s entrance point. 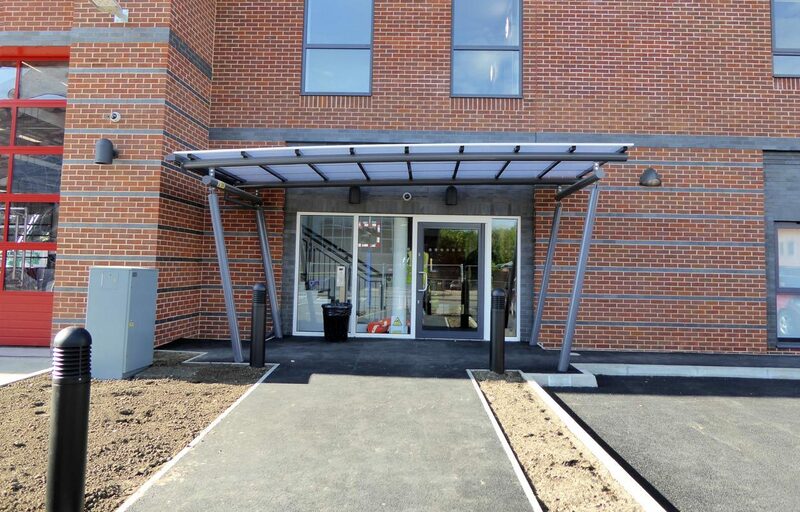 The CE marked steel structure has a 25 year guarantee and is finished in a 16mm triple walled polycarbonate roofing solution, the perfect combination for longevity.